As the majority of our county is enveloped in extremely cold temperatures, which are plummeting into many degrees BELOW zero, you may be wondering how ranchers and farmers care for their livestock. 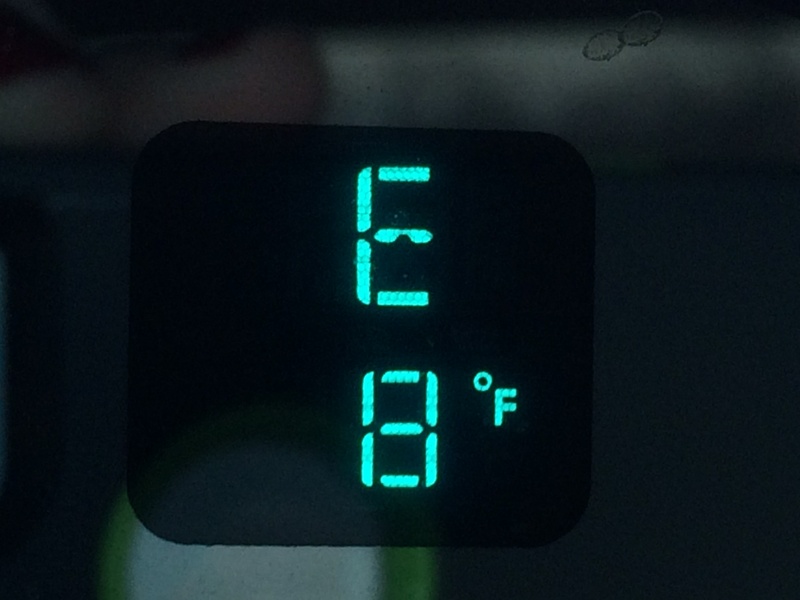 The temperature in Lincoln, Nebraska this morning. As temperatures drop it is important to remember that not all livestock need or want to be indoors! Unlike us or even our pets, they have extremely thick hair and wool coats that are very warm (sometimes water resistant), enabling them to withstand cold temperatures. Additionally, it is usually not feasible to provide shelter for all the animals on a ranch or farm (some animals like pigs, poultry, or rabbits may need shelter), as that could be for hundreds of animals, and providing enough space for them all to lay down and clean bedding would be quite the task! And animals are interesting, even if you provide them with shelter, they do not always go into it. It is like that saying, “You can lead a horse to water, but you can’t make him drink”‘ you can provide shelter, but you can’t make livestock use it. Animal Barn – Many people believe this is how livestock animals are housed. But let me share more feasible alternatives with you. Have you ever seen a row of trees in a pasture? These are called windbreaks. Windbreaks vary from a single row of trees to multiple rows of various trees and shrubs. It may look random, but they are usually strategically placed to be in an area that blocks the winds and blowing snow. Pastured animals quickly learn that if they stand on the opposite side of the windbreak they will get a break from the weather! Additionally, farmers and ranchers will move livestock to more protected pastures (such as the one in the photo below) in the winter where they can be fed and have their offspring in the best possible location. Windbreaks are also used to protect homes and other buildings from blowing winds, snow, and even dust. Windbreaks do not always have to be in the form of trees and/or shrubs. They can also be wooden or metal fence/panels to provide a weather break for livestock. Sometimes windbreaks may be just a roof and no sides, which offers a place to get out of wet weather, and also provides shade on hot days. Livestock may be provided straw, corn stalks, wood chips, or other types of bedding to lay on in the cold winter months. If animals are sheltered indoors, these are great and warm for just a couple of days until they become soiled with feces and urine, and need to be changed (which can be very labor intensive and expensive). If these are provided outdoors they may get wet and stomped into the ground, and fresh bedding would need to be provided as needed. If no bedding is provided, livestock will generally lay on any leftover forage feedstuffs they waste during the eating process. 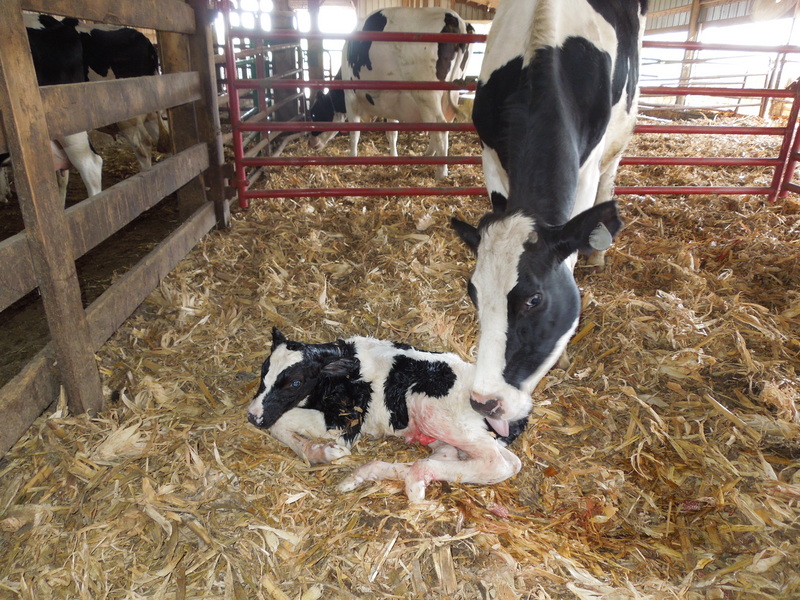 Livestock will most commonly be brought in from pasture and put on bedding when they are about to give birth. This helps the babies stay warm and dry and get off to a good start in life. When the babies have nursed and are strong, they will be moved back out to the pasture (which may be anywhere from one to four days – or more if needed). As I mentioned, it is usually not feasible to offer shelter to all livestock animals. But sometimes ranchers and farmers will make a shelter for just the babies to get out of the weather. This gives them a warm, dry place to go when the weather gets really bad. These structures are usually just small enough for the babies to go into, leaving the mamas outside, where they are more equipped to handle the colder temperatures. Remember, in the cold winter months livestock have very thick hair coats (that is why they looks so fuzzy) and wool pelts to keep them warm! When temperatures drop and it stays cold for long periods of time, or if rain or snow events occur, livestock may need to be given additional feed. Some sort of forage (hay) that was put up in the summer months with the intentions of being used during the winter months is an excellent option. When it is cold, livestock use more energy to keep and stay warm, if they cannot get enough feed during this time you may see them drop condition or become thinner. You may see ranchers and farmers feeding their livestock at least once a day, and maybe twice a day when weather gets really bad. 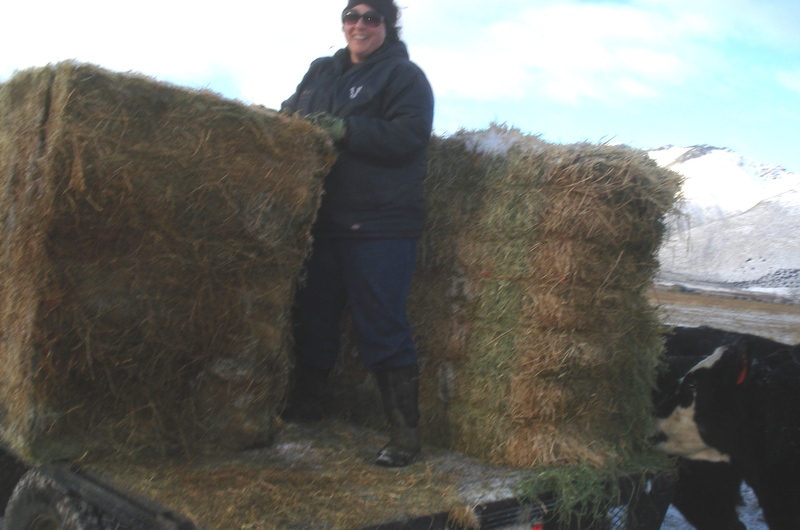 During winter months the quality of the grass in a pasture is not very good, so additional hay during those times is important. Livestock always need access to fresh, clean water – regardless of the time of year or weather conditions. In the winter this may mean that ranchers and farmers will need to break a lot of ice, deal with frozen pipes, or haul water. Livestock cannot get enough of their daily water requirements from just eating snow, and if forced to do so will become dehydrated. So on these very cold days, be thankful that the ranchers and farmers raising livestock for our consumption are such good stewards of their animals and the land. And know that the livestock in their care are being taken care of properly. Being outside all day, everyday in these elements is not for the faint of heart! Disclaimer: I am not promoting a company or product, the photos used are meant to only provide an example or illustration of a specific event and provide an example.